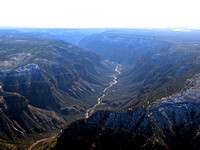 The Northern Dolores Watershed contains some of the most outstanding canyon scenery in Colorado. Wildlife includes the endangered peregrine falcon, golden and bald eagles, mule deer, mountain lions and bobcats. 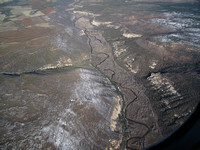 The area is considered prime habitat for desert bighorn sheep and river otters. While the region remains one of the few western landscapes to be relatively untouched by development, its history and its rich wildlife habitat and world class recreational opportunities draw an increasing number of visitors. 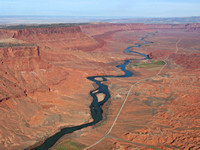 The majority of the public lands of the Northern Dolores are managed by the Bureau of Land Management’s (BLM) Grand Junction Field Office. 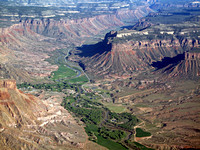 In their 1987 Resource Management Plan (RMP) for the Grand Junction Field Office, BLM identified two Wilderness Study Areas in the region – The Palisade and Sewemup Mesa – and decided that these units and the broader public lands in the region would be managed as a Special Recreation Management Area. They further determined that, in follow-up to this management decision, a Travel Management Planning (TMP) process would take place to delineate and develop trail systems and signage for public users. This follow-up effort, however, was never undertaken and the region’s public lands, which contain exceptional conservation values, continue to see very little management, despite their increased use, to this day. A coalition of conservation groups is working to develop a proactive, community supported vision for this unique landscape. 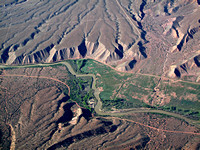 They are seeking permanent protections for the landscape, wildlife and way of life found in the Northern Dolores via designation as a National Conservation Area (NCA). 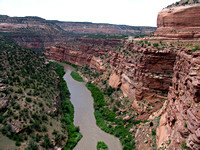 In Montezuma County, the Dolores River Valley Plan was passed in 2003 to limit development along parts of the river to protect water quality. A 100-foot setback for structures, and a cap of 620 additional homes was developed, to limit impact on the river corridor.